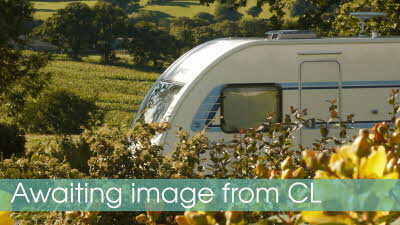 The CL is situated on our small quiet family park set in 24 acres of glorious Shropshire Countryside. 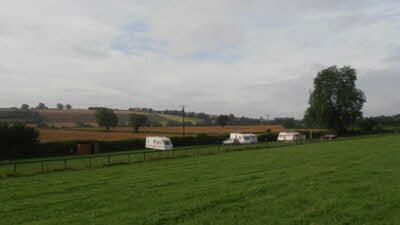 The views from Park Grange and the CL pitches are superb and the National Footpath network is easily accessible. We live and work here and are conserving the old hay meadows which we believe are more than 250 years old and which contain many meadow flowers. There are also compact wooded areas, together with small Wildlife and Fishing Pools which attract an abundance of insects, birds and animals. Park Grange is only 1.5 miles from the village of Morville where you can visit the Church of St. Gregory the Great built in 1118 A.D.
We are midway between Much Wenlock and Bridgnorth (on the A458 main Bus Route to Shrewsbury) and Shops are 4 miles away. The CL is located on a 0.75 acre grass site which is mostly flat (near to Wildlife Pool). There is a large children's play area and fishing - barbless hooks only. Catch and return basis. The fish are Mirror Carp. You must provide your own equipment. Dogs are welcome (on a lead at all times please). The Ironbridge Gorge Museums, Bridgnorth and Much Wenlock, the home of the Modern Olympic Games and Shrewsbury, the birthplace of Charles Darwin, are a short drive away. Close by is Wenlock Edge (location of Acton Scott Farm Museum) leading to the South Shropshire Hills including Caer Caradoc, the Long Mynd and the Stiperstones near Church Stretton. Sat Nav users - please use correct Lat and Long figures provided - these will take you to the entrance way to our CL. Please note: We do not allow charging of electriv vehicles. This is our first visit to Shropshire for many years and we specifically chose that particular area for access to Ironbridge. We were not disappointed. Instructions were clear and the information provided on arrival very helpful. The site is immaculately maintained. 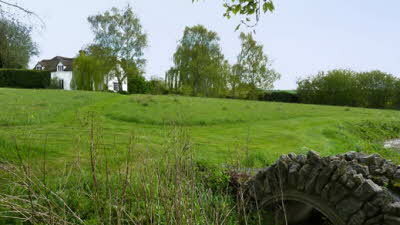 Many areas are left to meadow with paths cut through allowing for access and a gentle evening stroll around the grounds. 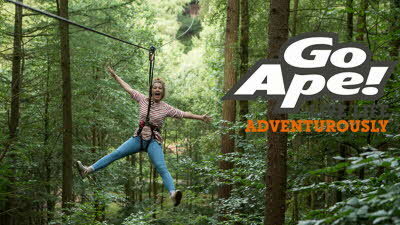 The site is perfect for touring the villages and towns in addition to The Long Mynd etc. We have promised ourselves to return. Beautiful well kept site in lovely grounds with fishing lake packed with fingerling carp and presumably some bigger ones as well (£2 a rod). There is also a childrens playground. There was a tap between each pair of pitches so a very short walk to fill aquarolls. TV aerial points as well. Entrance drive was no problem at all and could not be described as bumpy as another reviewer has. Yes there is some road noise but not too bad....and it does mean that you are near an A road so easy access. Cost was £11 which is very reasonable for the facilities on offer. Site is described as part sloping but most pitches are virtually flat with only a small amount of levelling required. This is our first CL site we've stopped on and it was well worth it such a lovely setting the meadows were so beautiful. My son loved the goats and we all loved having a fuss with the cats on site. Carding Mill Valley is only few miles away which is one of our favourite places to visit. Our only slight moan was the road noise but the views on the site made up for that. Will definitely be going back again missing it already. Lovely welcoming site. We have stayed here several times. 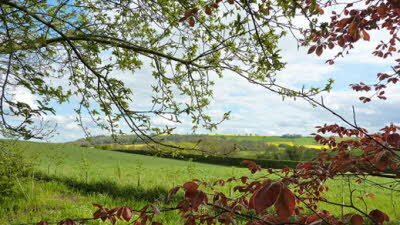 Very quiet and ideal for nature watchers, birds and bunnies a plenty. For cat lovers there were 9 at the last count. This is an ideal friendly and economic base to stay.